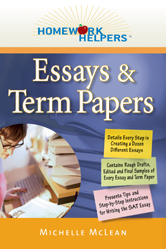 A fun, user-friendly guide that takes the confusion out of writing essays and papers for students of all ages. Lesson 2-1: What Is It? Lesson 3-1: What Is It? Lesson 4-1: What Is It? Lesson 5-1: What Is It? Lesson 6-1: What Is It? Lesson 7-1: What Is It? Lesson 8-1: What Is It? Lesson 9-1: What Is It? Lesson 10-1: What Is It? Lesson 11-1: What Is It? Lesson 12-1: What Is It? Lesson 13-1: What Is It?